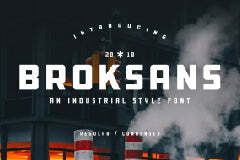 Introducing you to the absolutely beautiful free asian skyline font. Download this free typeface from the original source of Font Space. Showcase your designs like a graphic design pro by adding a new touch with this fancy font.